We’re excited about the growth we’ve seen in the PCB industry in North America so far in 2018. The growth rate has held steady, and it remains at about 10% above the same time period last year. With this increase, we see an incredible opportunity to showcase what we have been doing to prepare for the demand and be ready for new customer challenges. Whether you are looking to take advantage of cutting-edge PCB equipment or the expertise to deliver exactly what you are looking for in a timely manner, keep reading to see why EI Microcircuits is in a great place for new business. If you’re looking for high quality PCB assembly equipment complete with exceptional customer service from individuals who are experts in the industry, you’ve come to the right place. We’ve recently added even more new equipment and are fully staffed – both on the floor and in the office – to handle projects of any scope. Whether it’s completely reworking a PCB assembly so it can function to its fullest capacity or taking on other challenges, we have what it takes to get the job done right the first time. If a customer comes to us with part of a design already in place or they don’t know where to start, we have engineering and design capabilities like no other. Whether it’s making their project more compact, adjusting components, or anything else, we’re there to offer suggestions so that we can give them an end product that surpasses their expectations. Time is everything, which is why we want to be as efficient and accurate as possible at EI Microcircuits. 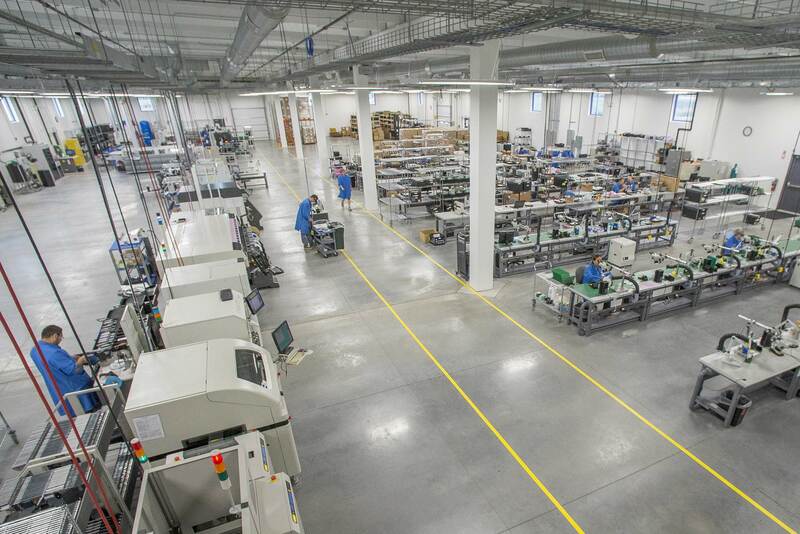 In order to do this, we recently added another 3D AOI machine and an X-ray machine on our production floor, which both test and inspect PCB assemblies for defects, polarity issues, and more. These machines have allowed us to speed up our process so we can be as effective – and accurate – as possible. In addition, we work with Ninja Circuits to offer rapid prototypes for customers who are in the early stages of a design. We wouldn’t be able to say that we’re proud of the work we do without hearing from our valued customers. Based on a 2017 customer satisfaction survey, we were highly rated in Customer Service, Engineering Services, and Manufacturing Services. There has been an increase in the results over the years, which we’re thrilled to see. We wouldn’t be able to do what we do without our amazing customers! If you’re ready to take advantage of our PCB assembly services for your project, contact us for more information about how we can help your businesses.